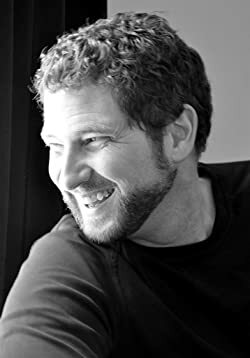 At age fifteen Kenneth Oppel wrote his first children’s novel, Colin’s Fantastic Video Adventure, and sent it to his favorite author, Roald Dahl. Dahl recommended the book to his own literary agent, and it was published in 1985. After graduating from high school Oppel attended the University of Toronto, where he studied English and cinema. He worked briefly as a children’s book editor before deciding to write full-time. He writes in different genres for children and young adults. Oppel lives in Toronto with his wife and their children. Learn more at Kenneth Oppel’s website. Click here for more stories by Kenneth Oppel. Silverwing — (1997-2007) Ages 9-12. Publisher: Shade is a young silverwing bat, the runt of his colony. But he’s determined to prove himself on the long, dangerous winter migration to Hibernaculum, millions of wingbeats to the south. During a fierce storm, he loses the others and soon faces the most incredible journey of his young life. Desperately searching for a way to rejoin his flock, Shade meets a remarkable cast of characters: Marina, a Brightwing bat with a strange metal band on her leg; Zephyr, a mystical albino bat with an unusual gift; and Goth, a gigantic carnivorous vampire bat. But which ones are friends and which ones are enemies? In this epic story of adventure and suspense, Shade is going to need all the help he can find — if he hopes to ever see his family again. My nine-year-old son recently read Darkwing, an older book by Kenneth Oppel, and has been after me to read it myself because he thought I’d enjoy it and because he wanted to share the experience and talk about it. I’m glad he kept on me, because Darkwing was one of the best middle grade books I’ve read this past year. My son clearly thought so as well, since he had me read it aloud to him (including a two-hours-straight stretch) from the halfway point on, even though he’d just read it a few weeks earlier. That’s perhaps the best recommendation I can give. The Apprenticeship of Victor Frankenstein — (2011- ) Young adult. Publisher: Victor and Konrad are the twin brothers Frankenstein. They are nearly inseparable. Growing up, their lives are filled with imaginary adventures… until the day their adventures turn all too real. They stumble upon The Dark Library, and secret books of alchemy and ancient remedies are discovered. Father forbids that they ever enter the room again, but this only peaks Victor’s curiosity more. 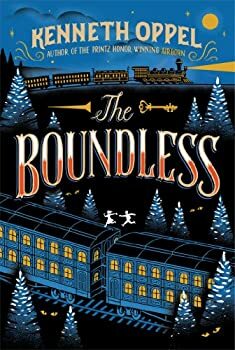 When Konrad falls gravely ill, Victor is not be satisfied with the various doctors his parents have called in to help. He is drawn back to The Dark Library where he uncovers an ancient formula for the Elixir of Life. Elizabeth, Henry, and Victor immediately set out to find assistance in a man who was once known for his alchemical works to help create the formula. Determination and the unthinkable outcome of losing his brother spur Victor on in the quest for the three ingredients that will save Konrads life. After scaling the highest trees in the Strumwald, diving into the deepest lake caves, and sacrificing one’s own body part, the three fearless friends risk their lives to save another. This Dark Endeavor is the first in a YA series of Frankenstein prequel books by Kenneth Oppel. To be honest, when I first heard of the book, I was a bit skeptical of the concept, unsure of what a prequel would offer that wouldn’t either be simply Frankenstein retold (“see the first time Victor creates life and how it goes bad!”) or wouldn’t trivialize Frankenstein’s characters and themes (“see young Victor try to resuscitate a beetle!”) But when I learned Oppel was the author, I was more than a little interested, as his Darkwing was one of my best reads of last year. And while not as good as Darkwing, This Dark Endeavor is well worth the read. 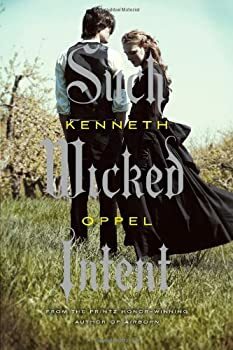 Such Wicked Intent is the follow-up to This Dark Endeavour and as such puts us two-thirds of the way through Kenneth Oppel’s YA trilogy detailing the early years of Victor Frankenstein. And as the book ends with a very well known scene from early in Mary Shelley’s Frankenstein, well, it’s clear we have just about fully plumbed those early years. A circus. A climactic battle atop a seven-mile long train. Automatons. Folklore-ic menace such as a hag who will drown you in her bog if you look into her eyes. Sasquatches. A train heist. An escape artist. A mesmerist. A plan to gain immortality. Rags to riches. Boy meets girl. Dreams to fight for. A villain willing to kill to get what he wants. Matt Cruse — (2004-2009) Young adult. Publisher: Sailing toward dawn, and I was perched atop the crow’s nest, being the ship’s eyes. We were two nights out of Sydney, and there’d been no weather to speak of so far. I was keeping watch on a dark stack of nimbus clouds off to the northwest, but we were leaving it far behind, and it looked to be smooth going all the way back to Lionsgate City. Like riding a cloud… Matt Cruse is a cabin boy on the Aurora, a huge airship that sails hundreds of feet above the ocean, ferrying wealthy passengers from city to city. It is the life Matt’s always wanted; convinced he’s lighter than air, he imagines himself as buoyant as the hydrium gas that powers his ship. One night he meets a dying balloonist who speaks of beautiful creatures drifting through the skies. It is only after Matt meets the balloonist’s granddaughter that he realizes that the man’s ravings may, in fact, have been true, and that the creatures are completely real and utterly mysterious. In a swashbuckling adventure reminiscent of Jules Verne and Robert Louis Stevenson, Kenneth Oppel, author of the best-selling Silverwing trilogy, creates an imagined world in which the air is populated by transcontinental voyagers, pirates, and beings never before dreamed of by the humans who sail the skies. The Live-Forever Machine — (1990) Publisher: The award-winning author of the ‘Silverwing’ books here offers a story about two men who, in A.D. 391, discovered the secret of immortality, and who have since then been engaged in a running battle, one attempting to destroy the past, the other attempting to preserve it; when a fourteen-year-old boy accidentally comes across their secret, he unwittingly becomes involved in the struggle. Dead Water Zone — (1992) Publisher: When 16-year-old Paul travels to Watertown in a desperate attempt to track down his ill brother Sam, he finds himself thrown into an eerie, illicit world where he can trust no one. Then he meets, Monica, a mysterious girl with her own secret reasons for helping him. Together Paul and Monica must confront their own fears to find Sam. CLICK HERE FOR MORE FICTION BY KENNETH OPPEL.